A west Highland community is launching a shares offer to raise money towards an £850,000 community hydro scheme that could make money flow from water. The Sunart community on the Ardnamurchan peninsula will be the first in Lochaber to provide an opportunity to invest in a community renewable energy project when the share offer is launched on October 3. 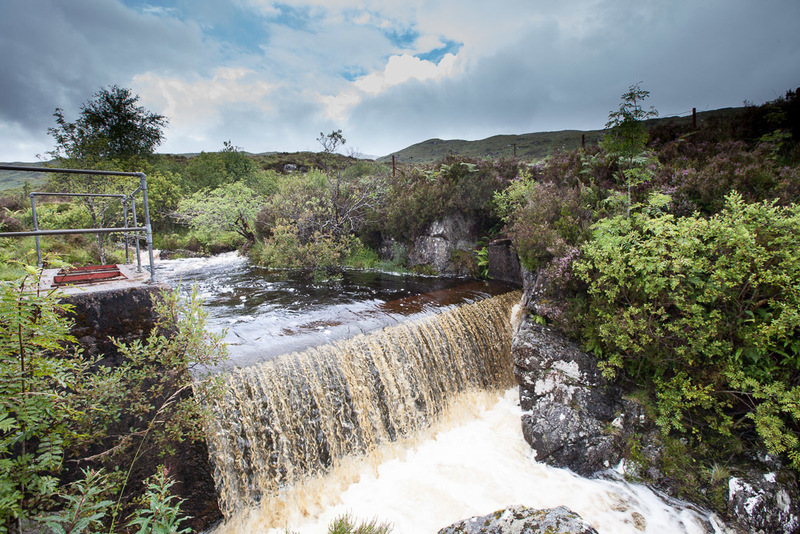 Sunart Community Renewables – the community benefit society behind the scheme – intends to harness the untapped power source of the Allt nan Cailleach, which flows right through the community, by building a 100KW hydro scheme in Strontian. And it is hoping the share offer will help to raise as much as possible towards the £850,000 set-up costs. The more shares it sells, the less it will have to borrow, which will increase the annual income it has to spend on local projects. There are 176 households in Sunart, which is made up of the settlements of Strontian, Scotstown, Polloch, Resipole, Ardnastaing, and Anaheilt. But investors do not have to live in this area. Shares – ranging from a minimum of £300 to a maximum of £100,000 – will be available to anyone aged 16 or over. Jamie McIntyre, who is one of the three founder members of Sunart Community Renewables, said shareholders could expect to earn 4% interest on their investment and may also be eligible for 30% tax relief on it. He said: “Investing in the Sunart community hydro scheme is a great opportunity to support the development of renewable energy and the creation of an income stream for local community development. Any part of the costs not covered by the sale of shares will be covered by loans from social enterprise companies, which will be repaid over 13 years. If loans are needed, the community expects to receive around £15,000 a year for the first 13 years. The figure will then rise to around £90,000 a year for the next seven years, while the Government’s Feed-In Tariff is still available. All the electricity generated – around 400,000 KWh per year – will be sold to the national grid and all surpluses will be donated to a local community benefit fund. Planning and other consents have been granted and construction is due to start early next year. The share offer will be launched by MSP for Skye, Lochaber and Badenoch Dave Thompson and Dave Hollings, of Co-operative and Mutual Solutions, at an evening of celebration led by the award-winning ceilidh band Trail West at Strontian Village Hall on Friday October 3 starting at 7pm.